Transport police have appealed for information after a woman was sexually assaulted on a train that left from Aberdeen. 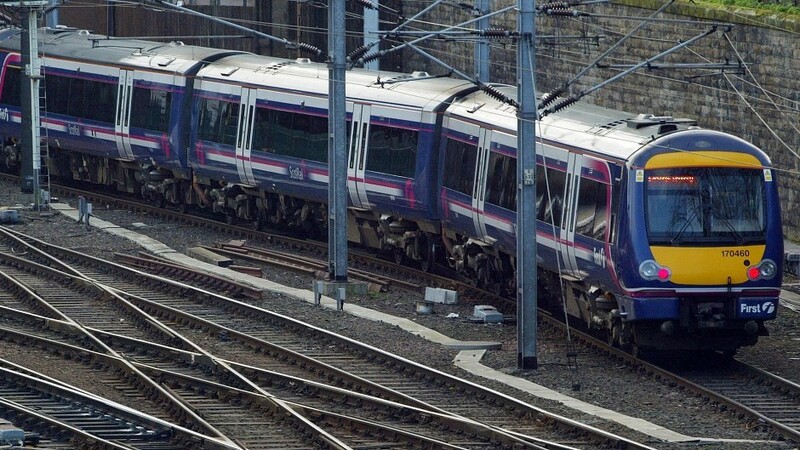 The 20-year-old was indecently assaulted by a man in his 50s on the busy 4.39pm Dyce to Edinburgh Waverley service on Thursday. British Transport Police (BTP) said she was touched inappropriately as she travelled between Leuchars in Fife and Edinburgh. The victim reported the incident to rail staff and police when she got off the train at the city’s Haymarket station. The suspect is described as being about 5ft10 with short grey hair and a red tattoo on his right hand. Meanwhile, police are searching for a man who spouted racist abuse on a train bound for Aberdeen. BTP are appealing for information after a man used racially offensive language on a train travelling between Stonehaven and Aberdeen on Saturday. The culprit, who got on the train at Stonehaven is described as being 5ft8, with short dark hair and olive coloured skin. He was wearing dark jeans, a maroon top and a dark jacket. He was reported as being racially abusive towards staff in the middle carriage of the Glasgow Queen Street to Aberdeen service between 9.55pm and 10.15pm. Anyone with information on either incident should contact officers on 0800 40 50 40, or Crimestoppers on 0800 555 111 to remain anonymous.